Bam is a rapper from Houston, TX. This was his debut album. 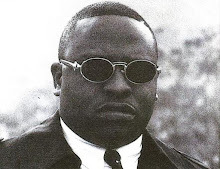 It was released in 1995 on his own record label, X-Bam Records. He is also a member of the South Park Coalition and the Killa Klan. Bam's delivery is something vicious. His flow is simply just rough and raw. All 17 tracks on this album are top notch. This record was produced by G-Rapp. He did a superb job with the beats. Appearances on this album are from Pharoah, Lil' Flea, K.B. Da Kidnappa of Street Military, Fakkulty, Klondike Kat, Burton Boyz, Quannel X and Montina Cooper. This record is truly amazing and is also regarded as one of the best records to come out of Texas.